GLENDALE, Ariz. — Not much is happening early at Camelback Ranch this morning, as the players aren’t taking batting or fielding practice. They only just came out to stretch and play some catch. Manager Don Mattingly had his daily morning press conference that offered little news. 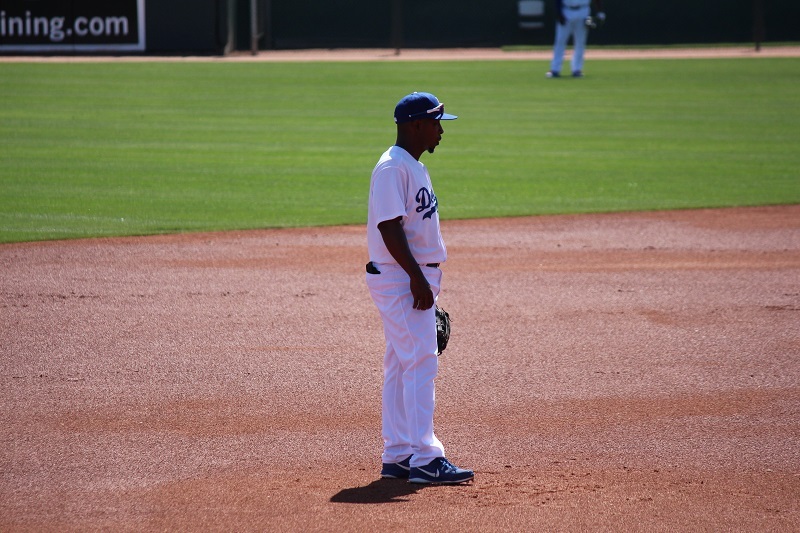 He did officially rule out Carl Crawford for the Australia trip because he the impending birth of his child. 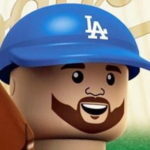 Mattingly also said Brandon League would likely stay behind (he’s throwing on the minor-league side today) and Matt Kemp will get the day off before returning to the minor-league side on Monday. Mattingly said he’d have more information about the 30 players who are going to Australia after Sunday’s game. He said the Dodgers pretty much know who’s going, but he doesn’t want to announce a player is going only for something to happen between now and the time they get on the plane (midnight tonight) that prevents a player from going. Mattingly also offered some insight as to what Kemp will do while the team is away for a week. “As much as anything, just basically having spring training, more along the lines of above else where he’s getting his at-bats every day,” Mattingly said. Chone Figgins hasn’t been great this spring, but he’s offered on-base ability and versatility, which sounds like it will be enough for him to make this club — at least, make the 30-man cut for Australia. “I feel like his bat’s been OK, not necessarily have that many hits, but walked quite a bit,” Mattingly said. “His at-bats have been the kind of at-bats we like. He’s shown he can kinda play everywhere on the field. So there’s definitely value there with Figgy. We still feel like the body’s live he’s moving good, and he’s been running good. He’s had no issues … So, if we like what we see, we do feel like at-bats will get better and better. The Australia roster will be more clear following the game. But expect guys like Justin Turner and Chone Figgins to be on the plane, as well as a pitcher to throw in the exhibition game. I’ve heard speculation it could be Zach Lee, which would make sense as the Dodgers are already down 3/5 of their starting rotation and need Paul Maholm to be the long man in case Clayton Kershaw or Hyun-jin Ryu falter. The main goal for today is to get through the game healthy. Something that didn’t happen for Patrick Corbin of the Diamondbacks. He suffered damage to his UCL and won’t go to Australia. Wade Miley is replacing him and will start the first game.